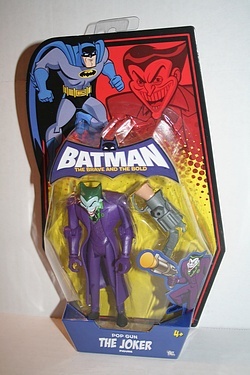 The latest wave of Batman - The Brave and the Bold figures features some excellent designs, but none so cool as The Joker! Of course we are all familiar with this character - but I definitely dig this stylized treatment of him! Click the image below for more shots of this packaged figure.